Here's yet another example of a traditional veggie grown in a non-traditional color. 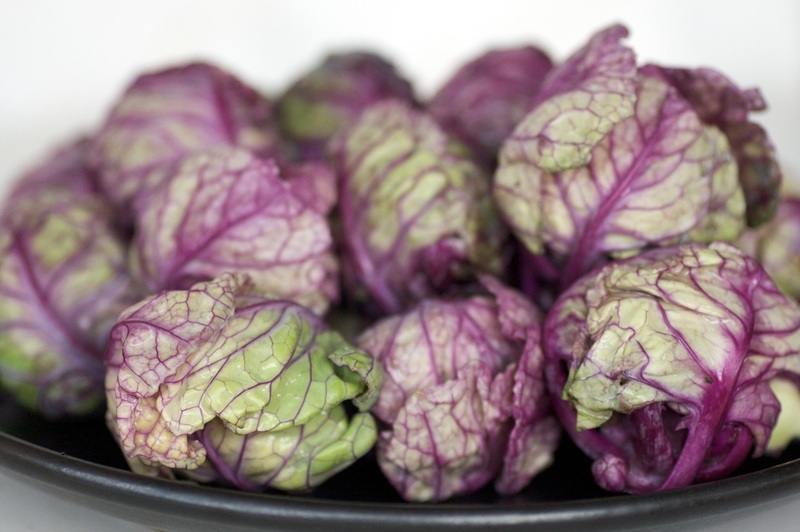 They taste just like the sprouts your used to, with all the benefits of veggies-of-a-different-color. One thing it may be important to note: All these strange veggies in odd colors that we grow are, actually, all heirloom varieties. These are not modern inventions of the latest gene-cracking technology. It turns out our fore-bearers were just in love with color and variety, and who can blame them? Due to modern agriculture standardizing many crops for maximum yield, chemical tolerance, and uniformity of harvest, many old, quirky varieties fell out of fashion, and then fell out of awareness. Diversity is a blessing in the organic garden, and in life in general, lets help bring it back!